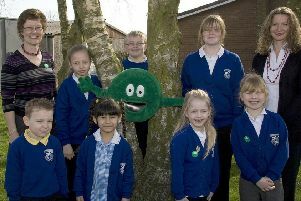 Pupils from Spilsby Primary School in action 10 years ago. Year Five pupils worked in groups to tidy up rubbish at the park, led by Tea Birch (front, left), nine. The previous month, Tea and her friends visited Spilsby Town Council to raise their concerns and littering and launched a campaign to make the town tidier for people coming into the area.